THRILLER LIVE: A spectacular musical celebration of the world’s undisputed King of Pop, Michael Jackson! Kuala Lumpur, December 2014 - Milestone Production will be bringing Lyric Theatre’s longest running and FULL London West End Production, THRILLER LIVE to Putra Indoor Stadium from 19th – 25th March 2015. Tickets for THRILLER LIVE are now on sale. 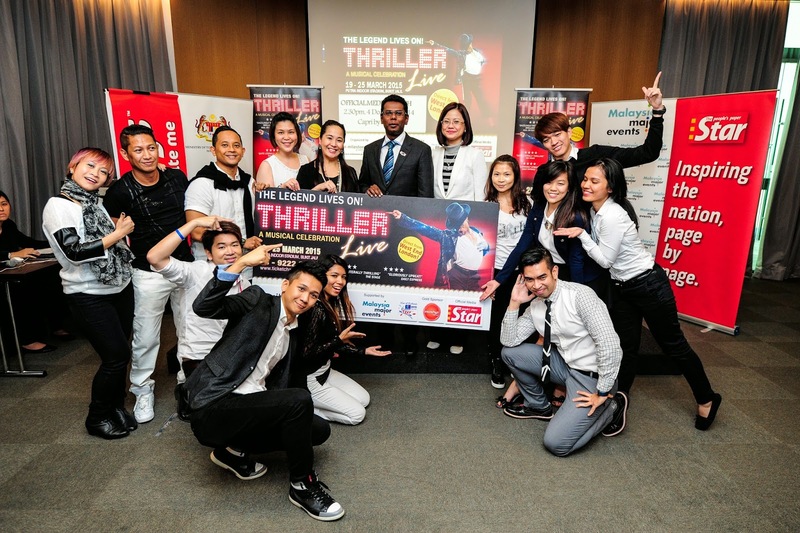 The official media launch of THRILLER LIVE in Malaysia 2015 was held at Capri by Fraser, the press conference venue sponsor. 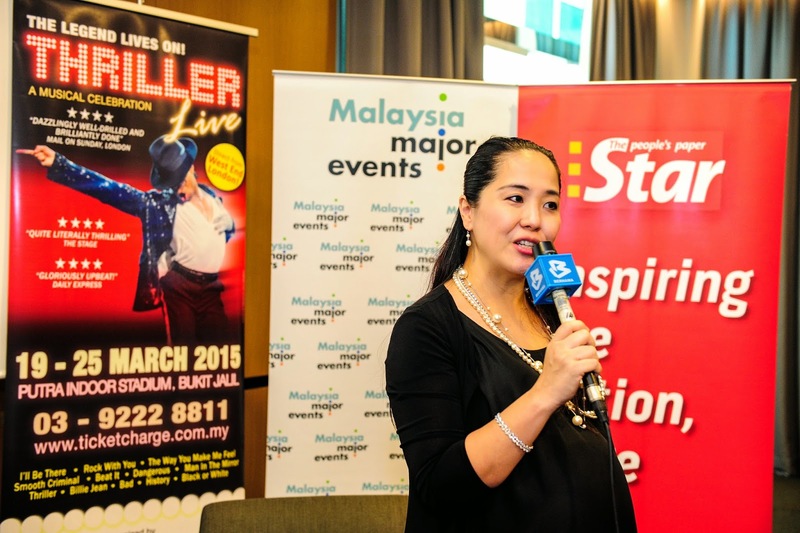 THRILLER LIVE is made possible by the organiser Milestone Production Sdn Bhd together with the support of Malaysia Convention and Exhibition Bureau (Myceb), gold sponsor Munchworld Marketing Sdn Bhd and official media Star Publications (Malaysia) Bhd. The media launch received great reception from members of the media who were all rocking to Michael Jackson’s music. Ms Grace Lee, Managing Director of Milestone Production said that it will be a full-scaled production with the entire original set being shipped in from London. 50 West End international performers, musicians and crew will ROCK WITH YOU to bring the King of Pop’s music to life after their tour to Australia. “Quoting the British Theatre Guide - “The sheer majesty of the musical performance will ensure that this MJ homage will surpass Queen and Abba as West End staples” Lee added. “I completely agree with the Adrian Grant that the show is not a tribute but it is purely a musical celebration of MJ’s persona and music. Since he has passed on, THRILLER LIVE is here to relive the essence of Michael Jackson which is about his MUSIC, DANCE and CHARITY.” Lee reiterated. The guests were also surprised by a local flash mob dance performance, which was also a sneak preview of the flashmob dance competition that will be held in conjunction with THRILLER LIVE’s on ground promotional activities. In addition to the flashmob dance competition, Milestone Production will also be working with several charities and will also organise dance workshops with the West end dancers. This two hour powerful visual, audio and electrifying musical journey of Michael Jackson’s illustrious career will also feature Michael Jackson’s smash hits such as I Want You Back, I'll Be There, Show You The Way To Go, Can You Feel It, Rock With You, She's Out Of My Life, Beat It, Billie Jean, Earth Song, Thriller plus many more! The stunning choreography was directed and choreographed by the award winning MAN IN THE MIRROR director, Gary Llyod (who has previously worked with Leona Lewis, Robbie Williams and other world class singers). 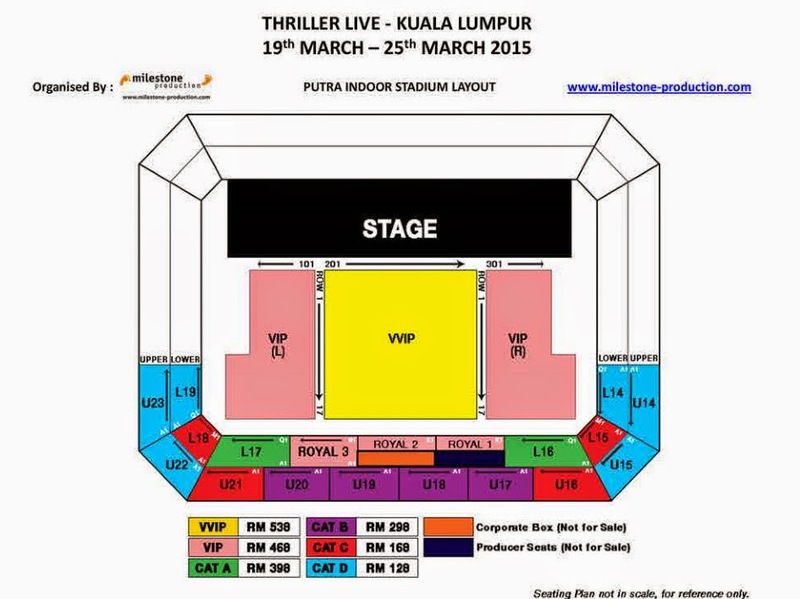 And what makes THRILLER LIVE Malaysia 2015 even more special is the fact that our beloved Malaysia will be the exclusive country in South East Asia to be staging this show for 2015.